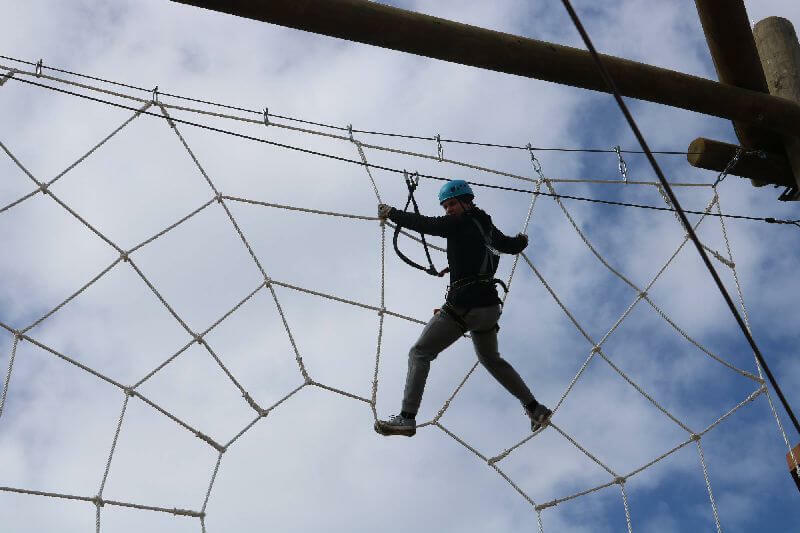 If you are a senior or an organizer of High School senior events, you may want to consider a High Trek Adventure as a memorable experience that corrosponds well to the change and growth that these young adults will be soon experiencing. Many schools do a Senior Day trip where seniors leave the High School Campus during the school day and go and do an activity together. We have excellent rates and can either set it up to pay per person or you can rent out the venue. There are also High Schools that have a Grad Night Event where organizers will plan a night of activities for the soon to be graduates. The High Trek Venue is a good activity for those events as well. We have Night Ziplining in our "Glow in the Park" Aerial Adventure Course. Please reach out to us about your event and how we can help you make it a great occasion for your school.